Odisha (Orissa) bordered by the azure waters of Bay of Bengal is located on the eastern coast of the Indian peninsula and is home to several tourist sites. It is also an ideal blend of ancient glory and modern enterprise thus attracting scores of tourists every year. The beaches, lakes, wildlife, tribes and cultural heritage of Odisha have impressed the visitors to this state every time. 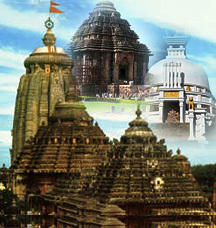 The age-old temples of Odisha reflect stupendously the amazing architectural style from the Black Pagoda - the Sun temple of Konark to the White Pagoda Puri Jagannath Temple bisected by the Dhauli Peace Pagoda and dotted by the Temple clusters in Bhubaneswar. Hotels in Odisha with facilities that are comparable to best properties in India are great asset for Odisha tourism. They are the easiest and most lavish way of exploring Odishan culture.